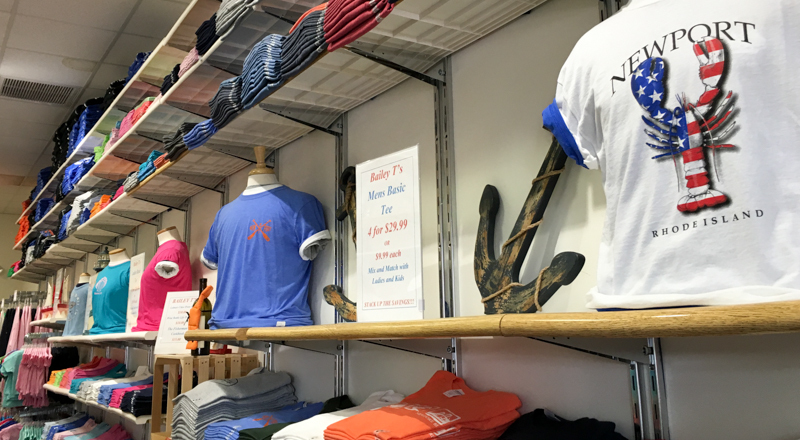 Bailey T's Resortwear in the heart of downtown Newport has quality clothing and accessories for the entire family. 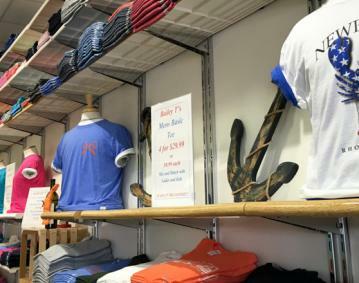 We are locally owned and operated and offer Premium T-shirts, Cozy Fleece Sweatshirts, Jackets, Hats, Bags,and Polo shirts all with original Newport themed designs. We also carry Newport souvenirs, gift items, and a signature line of jewelry made by a New England artist. Bailey T's is the exclusive Newport retailer for Gulls Gear, Where Life Takes You, and new this year "Sea to Believe" clothing and accessories.